International Removal Companies - Compare Movers & Save up to 70% ! Request free international removal quotes! 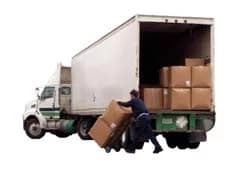 Obtaining a number of quotes simultaneously from international removal companies can really help take a load off your mind. You can save time by simply submitting a single request using Intlmovers. Your international moving requirements are matched to the international removal companies in our system. Your details are immediately forwarded to them. They will contact you directly to arrange a quote for your move. No matter where in the world you are moving from or moving to! It is generally recommended that if you want to get the best value, you should always compare a number of quotes to make sure that the offer you have received is competitive. Generally speaking, up to three quotes is the recommended minimum. Intlmovers can provide you with up to six free quotes that are supplied completely obligation free by international removal companies who are specialists in moves to your required destination! When you are comparing quotes, it is important that you look at not just the price, but at the services that are included in the total offer. By ensuring that you are comparing like for like services, you can obtain the best value, rather than simply the best price, for your international removal budget. The international moving companies have years of experience with global relocations. International moves bring not only excitement and anticipation.They can also present you with a lot of work and additional stress. There is a lot to plan and arrange and sometimes it may start to feel like it is getting on top of you. Absolutely the assistance of removal companies can really help relieve much of the burden associated with international moves. No matter where you are moving to! It can sometimes be a worthwhile investment to pay a little extra for such things as packing services. Especially if you have small children or are living alone and have little time to arrange everything yourself without interruption. Be mindful of additional and/or included services which can make a big difference to your final moving bill. In order to avoid surprises you should always ask if you are unsure about anything involving your international moving quote. Whilst the request form provided here allows you to include a number of details about your moving requirements. It’s important to be aware that the more useful details that you provide, the more accurate the removal companies can make your quote. You can find out from the removal companies if they offer additional related services. This may not simply be limited to packing and storage, but also relocation services at your destination such as assistance in finding accommodation or schools, etc. You can always check if the removal company belongs to or is associated with the governing body. Ask to obtain references from previous clients. One of your main priorities when you are arranging your international move is to feel confident that your goods are not only being efficiently transported. But that they are also being carefully managed and handled. The experience of the removal companies that list with Intlmovers helps to ensure that the best methods are undertaken to ensure your goods arrive safe and sound at your destination. Whilst you can receive up to six quotes from international removal companies when you request quotes with Intlmovers. It’s important to know that they are not only supplied at no cost. But they are also supplied with absolutely no obligation. We want you to feel completely convinced of your decision in your elected removal company. You should only accept a quote if you feel that it meets your needs.